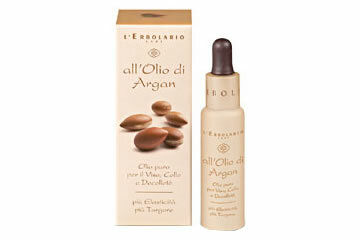 Present in its purest form, the Argan Oil is enriched here with the sole addition of Vitamin E, which en- hances to the maximum its already strong anti-ageing action. Highly rich in tocopherols, polyphenols and Omega-6 fatty acids, day after day the Pure Oil will tone the skin of the face, neck and cleavage and leave it more supple. Due to its unique ability to assist in re-activation of the vital functions of cells, the product is also a fast-acting remedy for even the dullest and most wrinkled skin, which will rapidly recover its freshness and splendour. Really good! The fact that is made in Italy, makes me safer!! This is not a product that you fine easily, and it's a really high quality product! !